Surf board on a summer vector background with a nice and colorful frame. 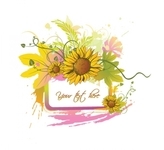 This summer vector background is under creative commons 3.0 attribution license. Download and enjoy this sunny summer vector background!